​​Select the Mosaic™ Syringes and Singles kit type that best meets your needs. You can purchase kits through your dental dealer or distributor. 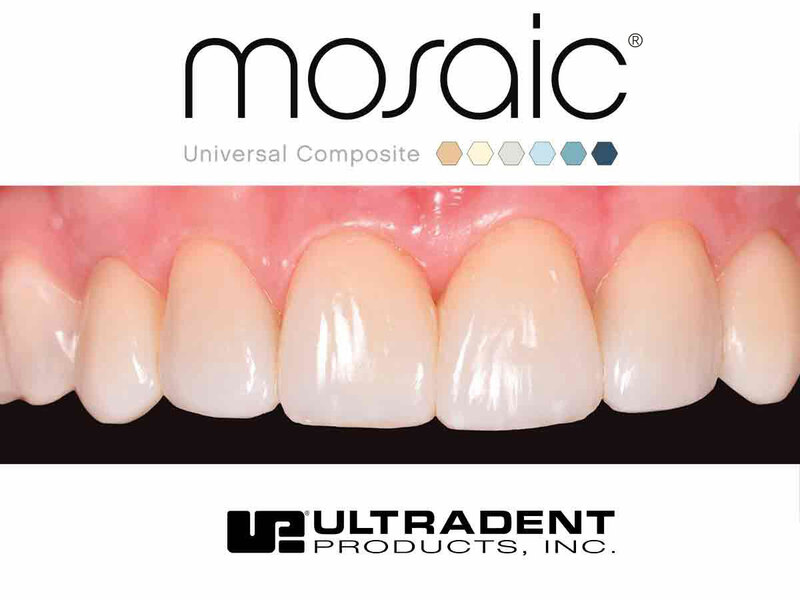 ​Mosaic universal composite balances beauty and performance for lasting, lifelike restorations. 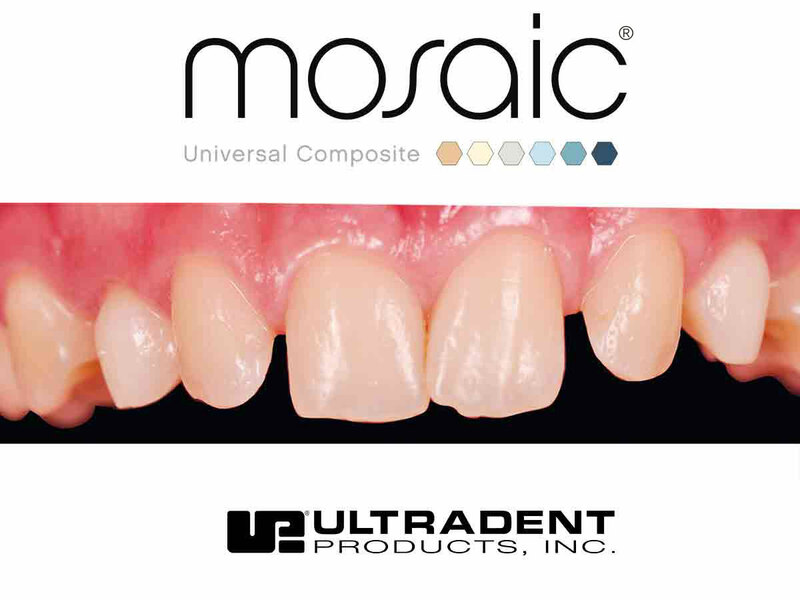 Mosaic composite can be used for all restorative purposes: basic or complex. 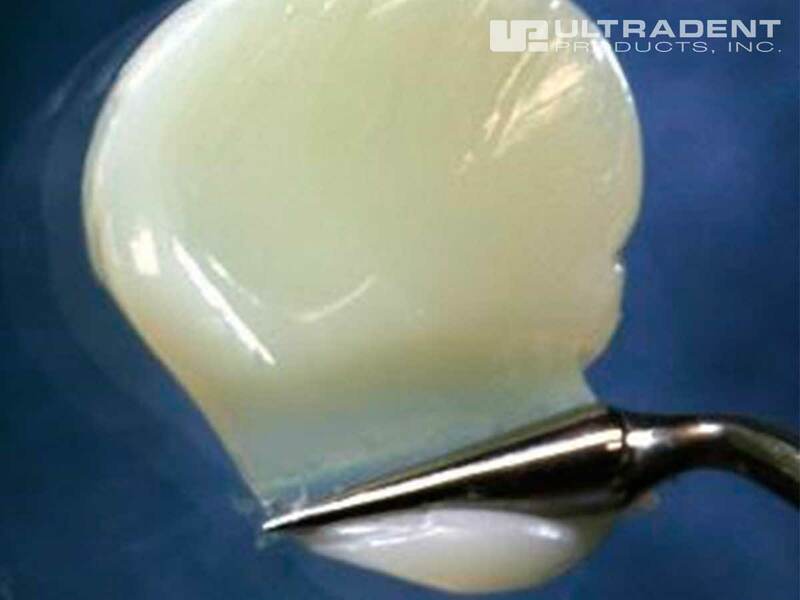 Its well-balanced nanohybrid formula produces restorations of the highest quality. ​Follow these step-by-step instructions to achieve optimal results with Mosaic™ Syringes and Singles. Protect yourself and your patients by familiarizing yourself with Mosaic™ Syringes and Singles's Safety Data Sheet (SDS)—a complete list of its physical and chemical properties, along with proper safety, storage, and disposal techniques. 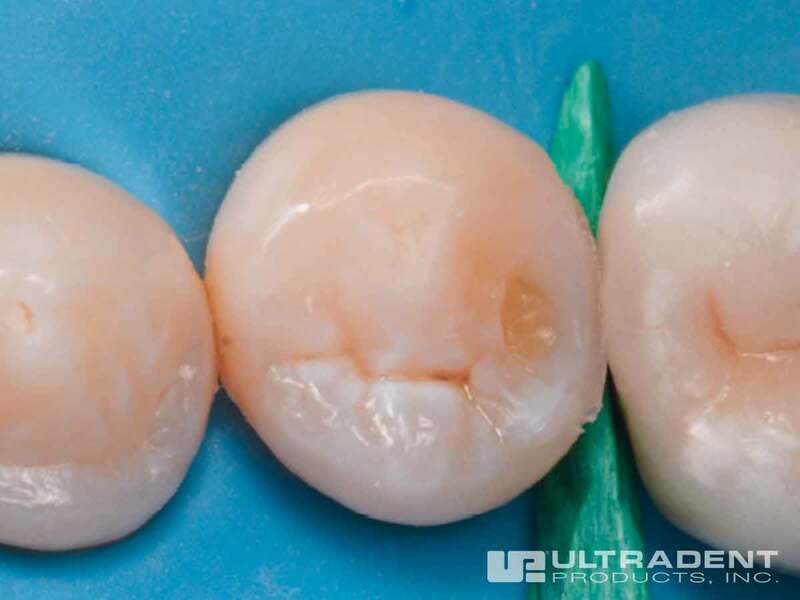 ​​For Class IV restorations, veneers, or diastema closures, we recommend a silicon putty matrix fabricated from diagnostic wax-up. 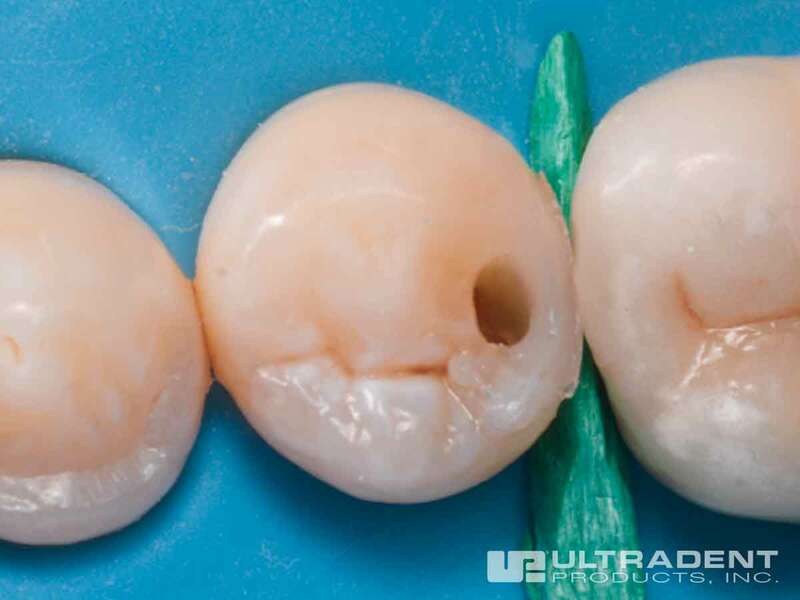 ​​Use the matrix as a guide for the basic shape of the restoration and to support the initial lingual placement of material. 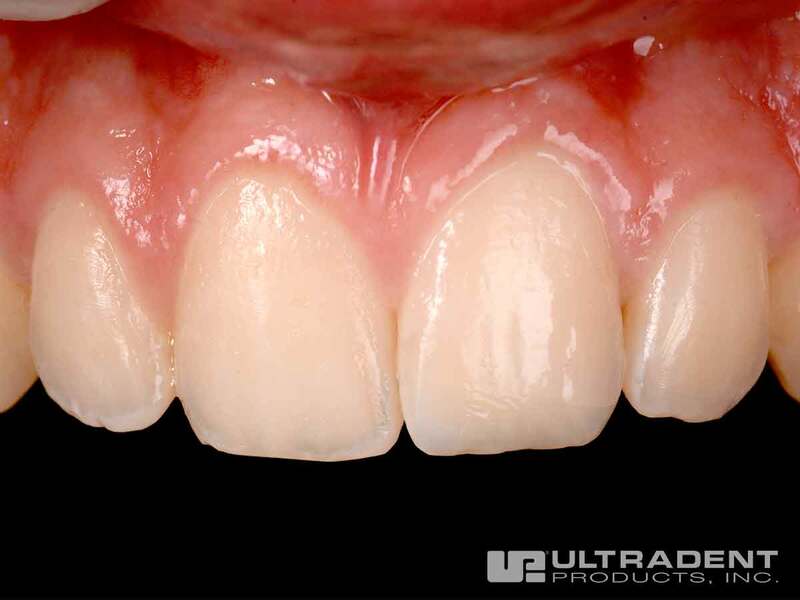 ​​Inner dentin body layer includes the basic hue of the exposed dentin. Apply basic hue (A3 shown) and create mamelons using a carver. ​​Cover body and extend enamel edge with appropriate enamel shade (Enamel Neutral shown). ​​Make final adjustments with multifluted finishing burs. Use Jiffy® cups, points, and disks for smoothing. ​​Mosaic composite feathers to a thin edge without crumbling or tearing. The consistency facilitates complete control and maintenance of detail. 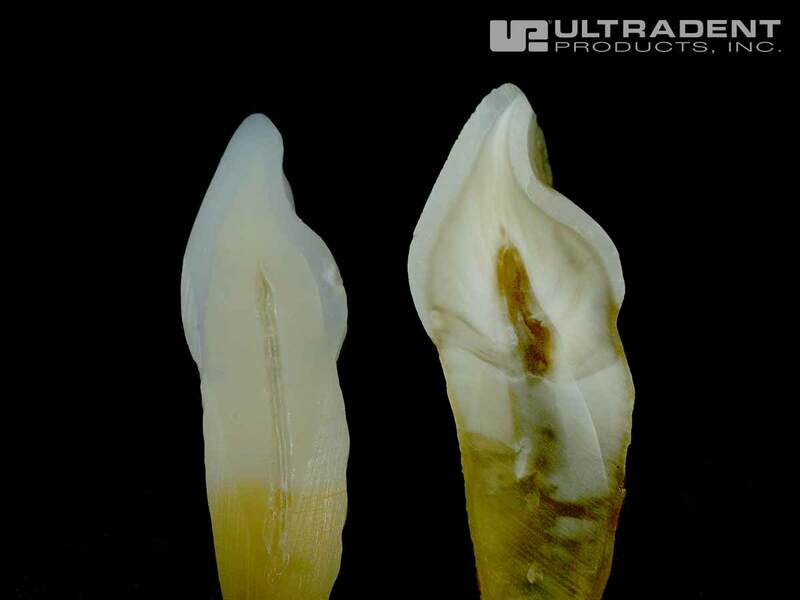 ​​Mosaic composite’s fluorescence mimics that of natural dentin and enamel. 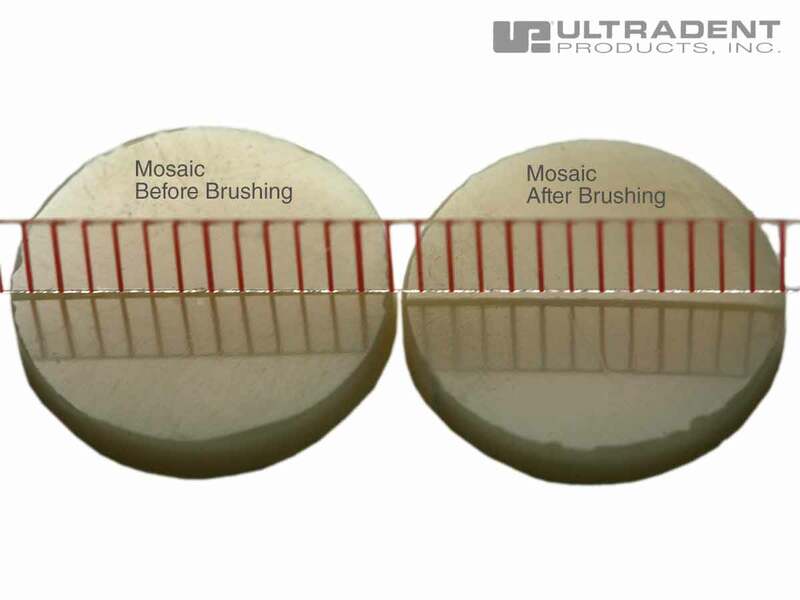 ​​Unlike the competitor, Mosaic composite retains gloss even after 10,000 brushing cycles. 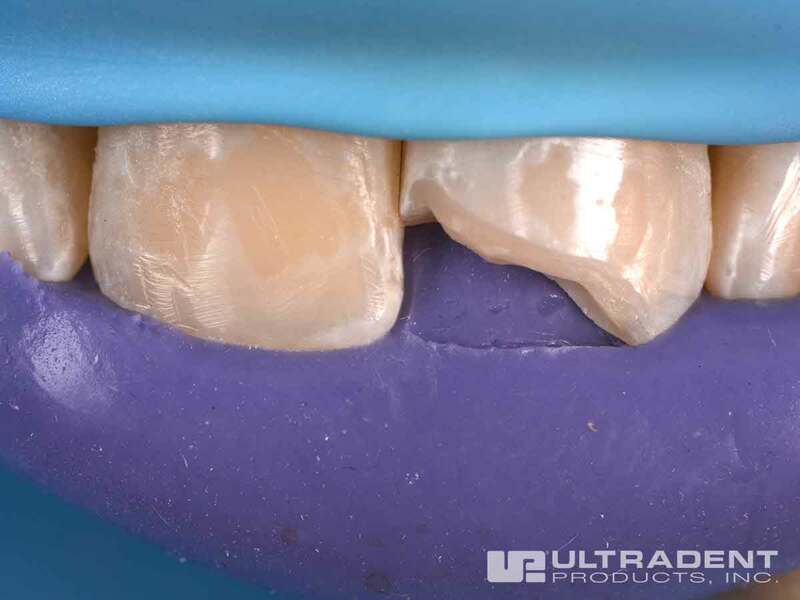 ​​Class IV esthetic restoration using Mosaic composite shades: A4, A3, A2 and A1 from cervical to incisal. Enamel White and Opaque White on the incisal edge. Photos courtesy of Dr. Rafael Beolchi. 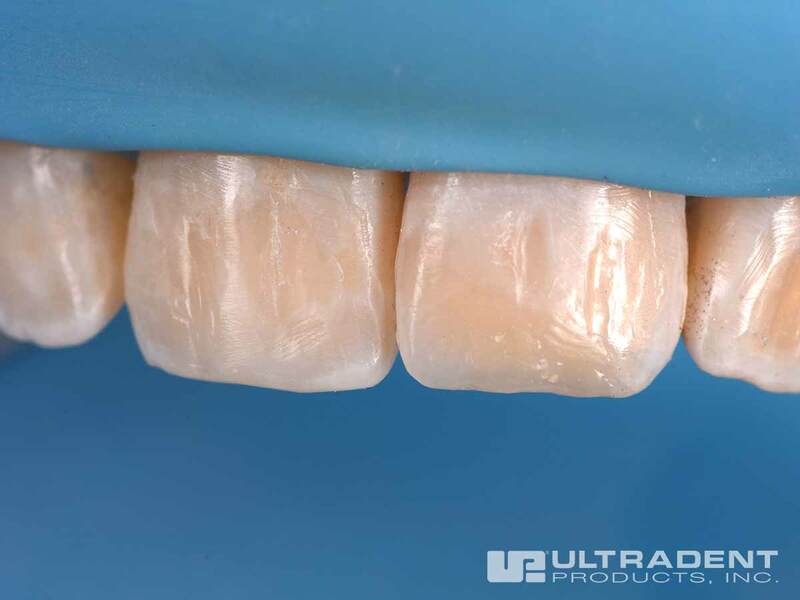 ​​​Class II restoration using the Peak® Universal Bond adhesive system with Mosaic composite shades A5 and Enamel Neutral. Photos courtesy of Dr. Gaetano Paolone. 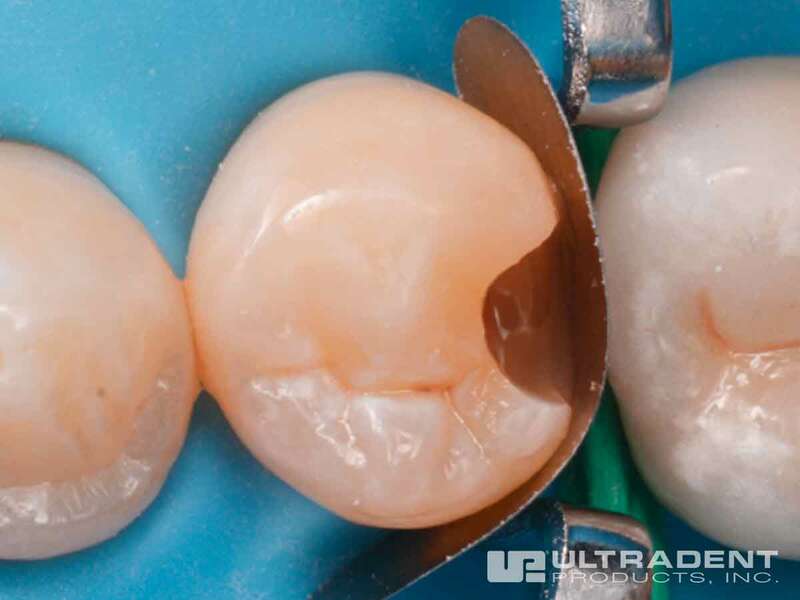 ​​Mosaic universal composite’s consistency is ideally suited for efficiently adapting both anterior and posterior restorations. Once the anatomy of the tooth is formed, the material retains its shape and does not slump. ​The working time for Mosaic composite is between 3:30 and 7:30 depending on the power of the light. ​​Mosaic composite offers 20 shade options to produce predictable, natural results. The slightly translucent dentin shades provide a chameleon effect which enables only a single shade to be used in smaller restorations. The enamel shades give variable opacity to allow the use of a single enamel shade to be used on smaller chips or defects of anterior teeth. 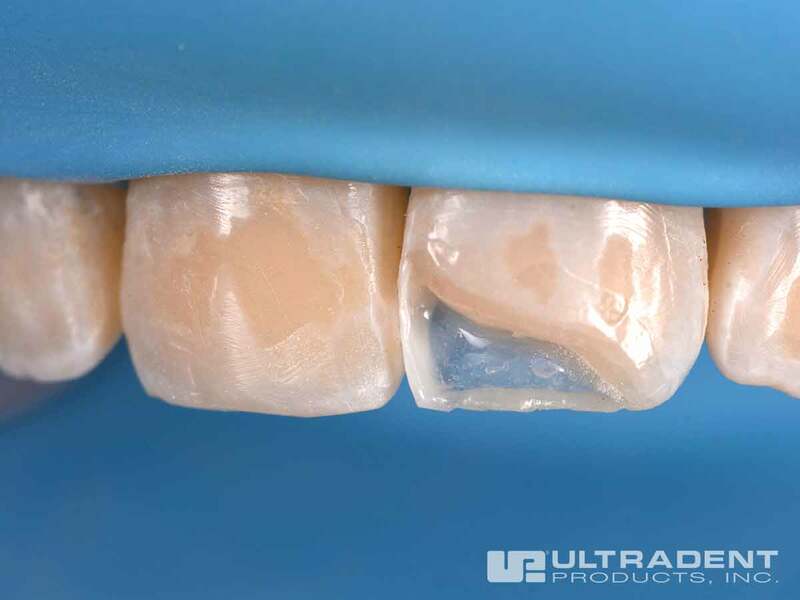 ​​The radiopacity of Mosaic composite is the equivalent of or greater than 2 mm of aluminum in both dentin and enamel shades and can be easily detected on a radiograph. 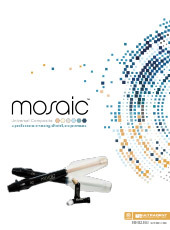 ​​"I was very impressed with how Mosaic handled. I love the consistency. It was also very easy to place, sculpt, and condense." ​Love the way the material handles and I love the realistic and beautiful look…Mosaic composite is a WINNER! Can’t wait to do more cases! ​​It holds it shape, it holds its shade value, and the integrity of the material is great. ​​Very nice opaque dentins, beautiful enamel shades, and a great handling. This is what I like in Mosaic! ​​The details related to filler composition are proprietary; Mosaic composite contains zirconia-silica glass ceramic and 20 nanometer silica. The filler load is 68% by volume for dentin shades and 56% for enamel shades. 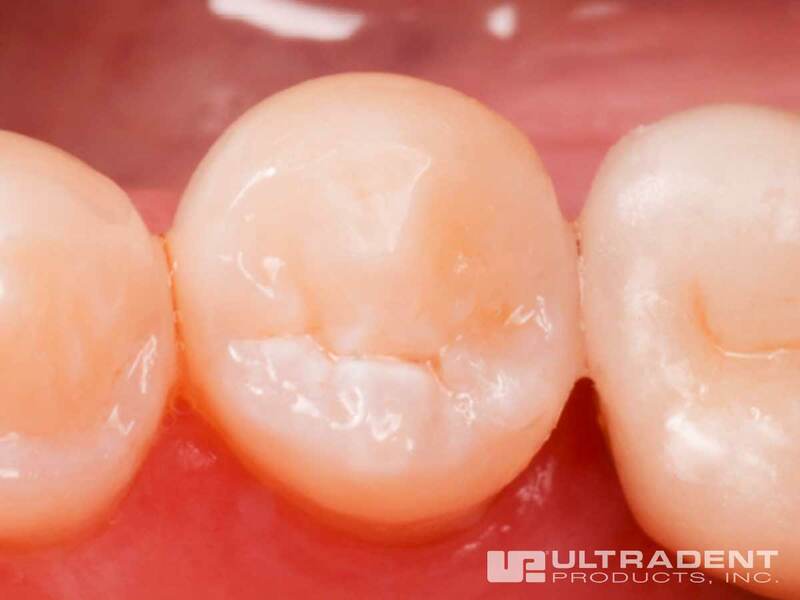 ​​Mosaic composite is a Bis-GMA-based composite. 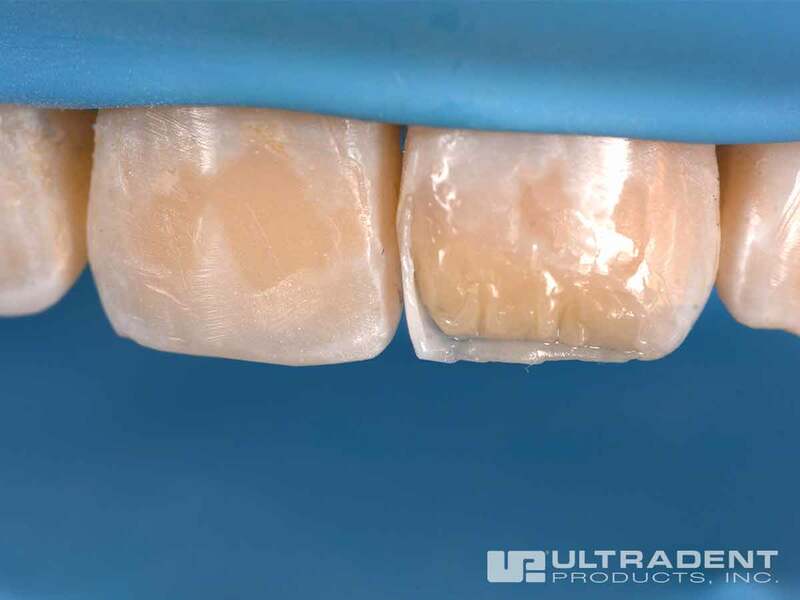 ​​Yes, Mosaic composite is methacrylate-based and compatible with other resin bonding systems. For optimal results, we recommend bonding with the Peak® Adhesive System. ​​For adequate polymerization, it is important than Mosaic composite is layered in increments of 2 mm or less. ​​We recommend the Jiffy® composite finishing line for shaping and polishing. Use the green (coarse), yellow (medium), and then white (fine) Jiffy polishers for quick shaping. The blue (ultrafine) Jiffy® HiShine™ is an optional polishing step to provide an extra smooth and a highly polished finish. 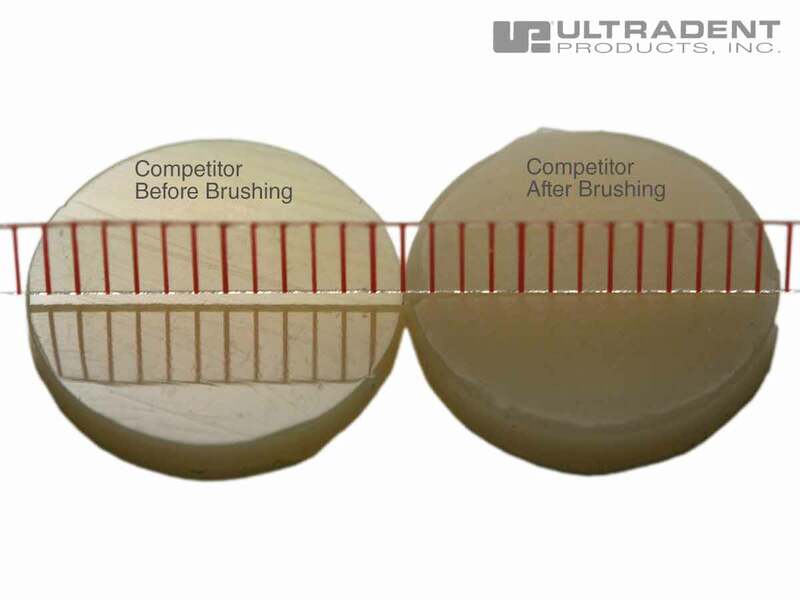 If extra shine is desired, we recommend using the Jiffy® Goat Hair Brush with Ultradent® Diamond Polish Mint. 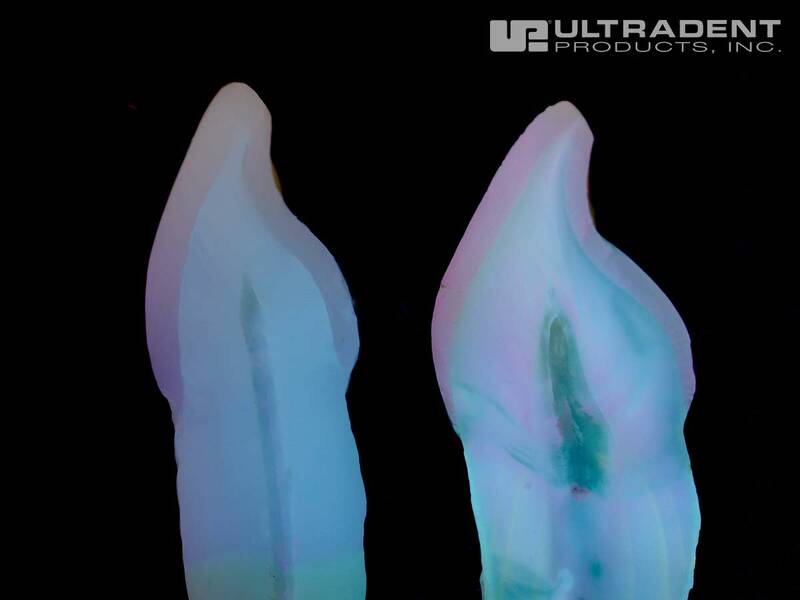 ​​Mosaic Singles can be dispensed using the Ultradent® Composite Gun or any standard composite dispensing gun. 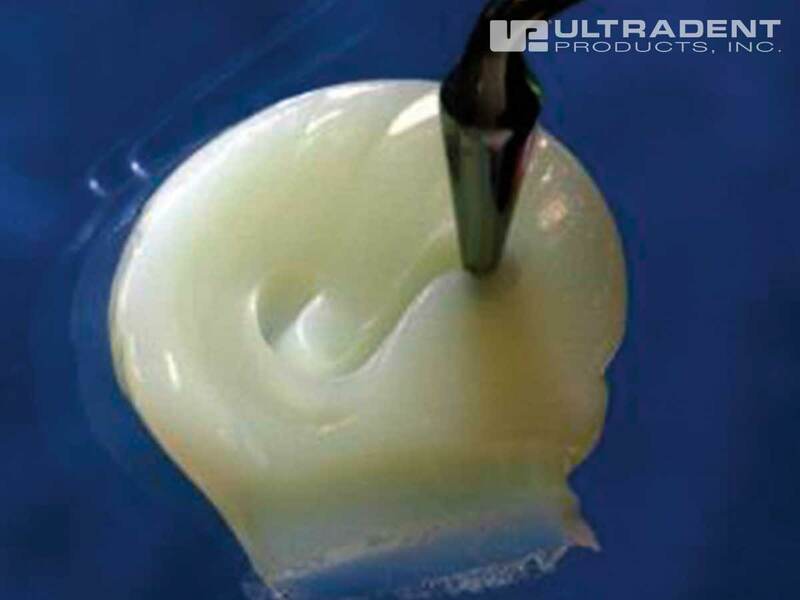 ​​Mosaic composite is a light-cured, bis-GMA-based universal restorative composite used for both anterior and posterior restorations.